I see you, lighter evenings! Just around the corner, waiting to poke your head out! 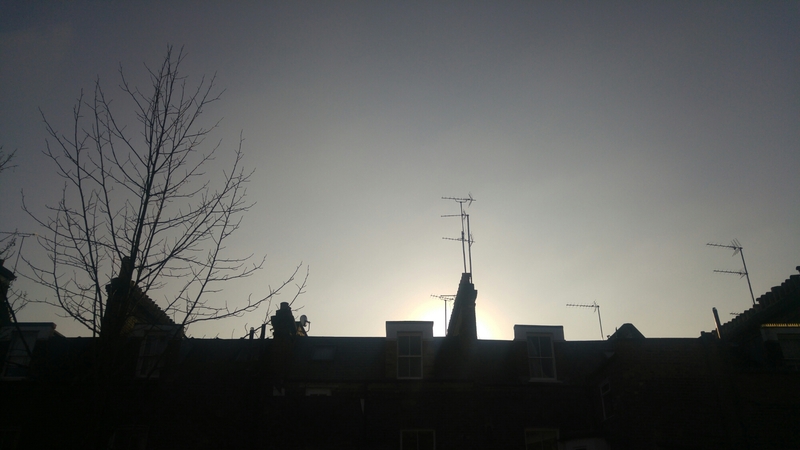 I took this from a meeting room at 3pm, and it was still sunny – I’m so excited to not cycle home in the dark soon! 14/02/17 – Happy Valentine’s Day!